Are you in need of personalised and professional air conditioning and heating services and solutions? For years the professional team at TLA Services have helped countless domestic and commercial properties throughout Melbourne stay comfortable during the hot summer months and the freezing winter season. During Melbourne’s 40 degree days, an efficient air conditioning system is a necessity. TLA Services provide prompt air conditioner installations to Blackburn homes and businesses, working according to schedule and within your budget. Additionally, we help you choose the right air conditioner for your Blackburn property, considering size and functionality. 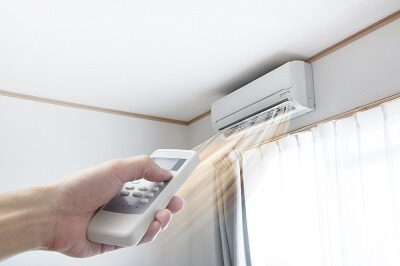 One of our most popular systems is the split system, allowing Blackburn locals to zone and precisely control their air conditioning as required. Whether you are in need of expert advice, installation, or maintenance services you can trust our dedicated and knowledgeable team to deliver solutions that meet your requirements. Our wide selection of renowned split system air conditioners and ducted heating units have been installed into countless Blackburn properties. Our seamless installations are completed promptly to ensure minimal interruption to your daily life or operations. Ducted heating is a necessity for all homes throughout Melbourne, given how temperamental the weather is. For quality ducted heating, Blackburn residents can rely on TLA Services for expert installation and servicing. To learn more about the many benefits of our industry-leading services and air conditioning installation in Blackburn and nearby suburbs like Wantirna, Ashburton, Mont Albert and Mount Waverley, locals can call us on 0430 234 057.